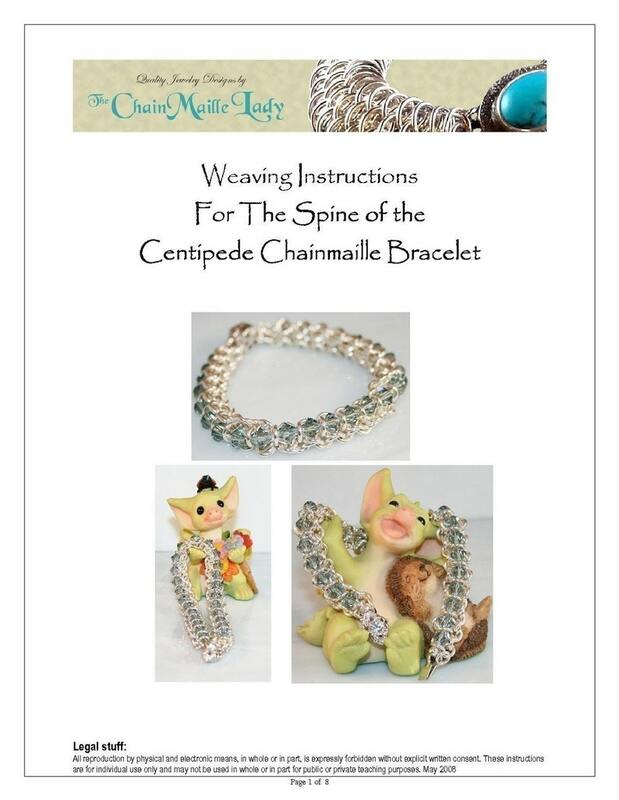 PDF Instructions on how to make my original design, The Spine of the Centipede Bracelet. You can access the file any time once it is paid for on your Purchases page, provided the transaction hasn't been canceled or removed. There is generally no time or download limit with Etsy. This is a great tutorial and has many options,being NEW to chain maille I trust this seller 100+ percent as she stands ready for her customers.A 5 star seller ALL THE WAY.